“Love thy neighbor as you love yourself”. I would like to start with one of the Ten Commandments since pets are in many ways just like human beings. They are our beloved neighbors, loyal companions, and inevitably fallible fur-balls. That’s why it is so heartbreaking that many of our four-legged neighbors are left to fend for themselves with no proper food or shelter. That’s why pet fostering is a very important subject. 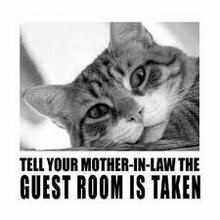 First of all pet fostering is the process of providing temporary homes for pets, just until a more suitabl home can be found. Helping homeless pets with behavioral issues, socialization or recovering from an illness not only makes them more adoptable, it also opens up spots in the shelter for other animals. But no matter how great it feels to help save the lives of these animals, it’s also easy to get attached to the pets you take in. When fostering a pet, the biggest emotional pitfall is getting too attached to your temporary pets. Try to keep in mind that you and your temporary pet have a working relationship. Don’t think of the dog or cat as a family member, but more as a collaborator. But attachment issues don’t stop at your emotions. Pets are very likely to become attached as well, almost inevitably so. While showing affection is important, dogs and cats are predisposed to becoming spoiled rather quickly. Animals that get attached to foster parents have a difficult time adjusting to their new homes. Focusing on treating a foster pet like a student or a colleague will keep both of your emotions on a short leash. Your foster assignment can last days, weeks, or months but no matter how long they stay, when it’s over, you’ve got to be ready. You’ve helped to prepare this pet for its forever home and now it’s time to do what’s best for the animal. Depending on the situation, you may even be responsible for meeting with prospective adoptive families. If you start thinking that they aren’t good enough for the pet, it might be a sign that you’ve grown too attached. Throughout your foster assignment, try to stay focused on the goal of getting the pet ready for its new forever home, so you’re always thinking positively of the day you’ll part ways. Don’t draw it out with a big teary scene, as that can be stressful for the animal. And if you find yourself overly depressed about the loss of your temporary friend, you can always volunteer to have another pet temporarily housed and loved. It’s also a good idea to exchange contact information with the family that adopts. This way you can be sure that your canine coworker is well provided for. 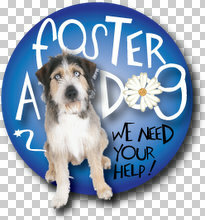 If you aren’t involved in fostering pets but you would like to be, then try visiting the Pet Foster Network’s website: http://www.petfoster.org/ There you can volunteer your home and your time for a very worthwhile cause. One that can benefit you and furry little neighbor. I have fostered approx 20-25 kittens a year for the local SPCA for 3 years now. It is extremely rewarding, but also extremely hard. There is bottle feeding to do sometimes, sometimes getting up in the middle of the night to feed, constant cleaning or the room, food bowls, litter boxes and kittens themselves. Kittens die alot, for many reasons, and it can be heartbreaking. I love doing it, because every kitten I save, I feel I am saving a soul and love when they move on to their forever home, but I just want to warn people wanting to do it, it is not easy, both physically and emotionally. Thanks so much for sharing your experiences. You're doing a wonderful and giving thing. These kittens deserve someone like you.